Mathew Gullick is an experienced High Court and appellate advocate. He has appeared in more than 30 substantive appeals in the Court of Appeal and the UK Supreme Court, the majority of them as sole or lead advocate. His practice is focused on public law and employment matters but he is also frequently instructed both on costs issues and on procedural points across the entire spectrum of civil litigation, including in group litigation. He undertakes asset forfeiture work (including on human rights issues) in both the criminal and civil jurisdictions, and is a contributor to one of the leading practitioner textbooks in the field. As well as appearing in Courts and Tribunals, he also acts as a representative in mediations. Mathew is a member of the Attorney-General's A Panel of Junior Counsel to the Crown in civil matters. From July 2015 to November 2018, he was part of the Counsel team instructed by the UK Government in the Kenyan Emergency Group Litigation (KEGL), in which more than 40,000 individuals unsuccessfully brought claims in the High Court arising from their experiences during the ‘Mau Mau’ Emergency in the 1950s. The KEGL was one of the longest-running trials in English legal history, sitting in court for 230 days between the start of the trial in May 2016 and its conclusion in November 2018. The case involved wide-ranging and complex issues including in relation to jurisdiction, limitation, constitutional law, tort (negligence, vicarious liability and common design), evidence and civil procedure. In the public law field, Mathew is regularly instructed to appear in the Court of Appeal, the Administrative Court and the Upper Tribunal in immigration matters and also acts in prison law and social security benefits cases. In the employment context, he acts for both claimants and respondents (public, private and third sector) across the range of employment law including unfair dismissal, wrongful dismissal, all types of discrimination, equal pay and unlawful deductions from wages (including the non-payment of bonuses). Mathew is also frequently instructed on costs issues across the spectrum of civil litigation. He has been instructed on numerous high value costs matters, including multi-million pound costs claims in group litigation. He has twice been instructed, as specialist costs Counsel, to make written submissions on costs to the Supreme Court and has also conducted a two-day detailed assessment of costs in the Supreme Court. Mathew's work in this field has included both Queen's Bench and Chancery matters as well as Tribunal proceedings. In addition to detailed assessment proceedings, his costs practice has, for example, seen him successfully making and opposing applications for protective costs orders in the Administrative Court, and successfully opposing applications for non-party costs orders against legal expenses insurers. Mathew also has extensive experience of advising and appearing on jurisdictional and procedural issues, including in relation to many of the more obscure provisions of procedural legislation and rules. Several of his cases are cited as precedents in the leading textbooks on civil procedure. Mathew’s practice also extends to the law relating to the enforcement of judgments, including the powers and liabilities of enforcement officials. He has conducted the oral examination of judgment debtors in the High Court, and has successfully obtained committal orders in linked contempt of court proceedings. Mathew is an active member of the Bar Pro Bono Unit, and was nominated for the Bar Pro Bono Award in 2007, 2009 and 2011, on the second occasion receiving a special commendation from the judging panel. He was a member of the Gray’s Inn team that won the 2003 Inter-Inn Mooting Competition, and went on the Inn’s biennial mooting tour of the USA in September 2003. Kimathi & Others v Foreign and Commonwealth Office  EWHC 3379 (QB),  4 WLR 48 - having regard to Article 9 of the Bill of Rights, reports of Parliamentary debates could not be used as evidence of the truth of the extraneous facts referred to by Members of Parliament in those debates. Mahmud (s.85 NIAA 2002 - 'new matters')  UKUT 488 (IAC),  Imm AR 264 - a decision of the Upper Tribunal which gives guidance on the correct approach to considering a ‘new matter’ in statutory appeals, under s.85 of the Nationality, Immigration and Asylum Act 2002 (as amended). Kimathi & Others v Foreign and Commonwealth Office  EWHC 3005 (QB),  1 WLR 1081 - CPR 3.9 could not be used to validate a claim which was a nullity because the claimant was dead when the claim was brought in his name. Mathew Gullick accepts instructions in a wide range of public law matters. He was appointed to the Attorney-General's A Panel of Junior Counsel to the Crown in civil matters in September 2016, after eight years on the B and C Panels. In the immigration field, Mathew is regularly instructed to appear in the Court of Appeal, the Administrative Court and the Upper Tribunal, and has been involved in numerous unlawful detention claims and deportation appeals. He has extensive experience of Points-Based System cases, having been instructed on several major appeals relating to the Post-Study Work route and its closure in April 2012. He undertakes both claimant and defendant work. R (on the application of Idira) v Secretary of State for the Home Department  EWCA Civ 1187,  1 WLR 1694 - detention in prison, under immigration powers, of time-served foreign national offender pending his deportation did not breach Article 5 ECHR. Mandalia v Secretary of State for the Home Department  UKSC 59,  1 WLR 4546 - application of the evidential flexibility policy to Points-Based System applications; meaning of document missing from a sequence or series. R (on the application of Giri) v Secretary of State for the Home Department  EWCA Civ 784,  1 WLR 4418 - Wednesbury review the correct approach to judicial review challenging findings of fact made in a decision under the Immigration Rules; no ‘heightened civil standard of proof’ in relation to findings of dishonesty. R (on the applications of Mehmood and Ali) v Secretary of State for the Home Department  EWCA Civ 744,  1 WLR 461 - lead appeal in the litigation arising from the ETS language testing scandal; removal decision under s.10 of the Immigration and Asylum Act 1999 invalidated leave extended by s.3C of the Immigration Act 1971; no ‘special or exceptional factors’ existed justifying recourse to judicial review where out-of-country statutory appeal available. PF (Nigeria) v Secretary of State for the Home Department  EWCA Civ 251,  1 WLR 5235 - correct approach to exercise of the ‘casting vote’ by presiding member of a panel of the First-tier Tribunal; Upper Tribunal hearing statutory appeal for error of law had no jurisdiction to consider legitimate expectation argument arising from Home Office’s actions after the First-tier Tribunal’s decision. Bogdanic v Secretary of State for the Home Department  EWHC 2872 (Admin) - wording would be implied into the relevant commencement order, which contained a drafting error, to indicate that amendments to the civil penalty regime for carriers of clandestine entrants applied to immigration control zones in France as well as those in the United Kingdom. SE (Zimbabwe) v Secretary of State for the Home Department  EWCA Civ 256,  Imm AR 855 - prospects of rehabilitation in receiving country versus prospects in the UK not relevant to Article 8 ECHR balancing exercise when considering deportation of foreign criminal. Syed & Others v Secretary of State for the Home Department  EWCA Civ 196 - ACCA Professional Level Qualification was not a “UK recognised bachelor or postgraduate degree” so did not qualify for the award of points under the Tier 1 (Post-Study Work) route in the Immigration Rules; role of UK NARIC in assessing the level of non-degree qualifications obtained in the UK. R (on the application of Muazu) v Secretary of State for the Home Department (JR/5068/2013) - whether claimant’s asylum claim based on fear of terrorist group in Nigeria had been correctly held to have no realistic prospect of success; whether further immigration decision refusing leave to enter was required when the claimant’s removal was aborted and he had been returned to the UK. R (on the applications of Muazu and Adda) v Secretary of State for the Home Department  EWHC 3764 (Admin) - detention of immigration detainees refusing food, fluid and medical treatment was not contrary to Home Office policy and was lawful under Articles 2 and 3 ECHR. Nasim & Others (Raju: Reasons not to follow?) UKUT 610 (IAC) - whether Court of Appeal’s decision in Raju could be distinguished on grounds including legitimate expectation, evidential flexibility and applications having been ‘varied’. Secretary of State for the Home Department v Raju & Others  EWCA Civ 754,  1 WLR 1768 - whether applicants under the Tier 1 (Post-Study Work) route in the Immigration Rules qualified for leave to remain when they had not obtained their degrees at the date of application. 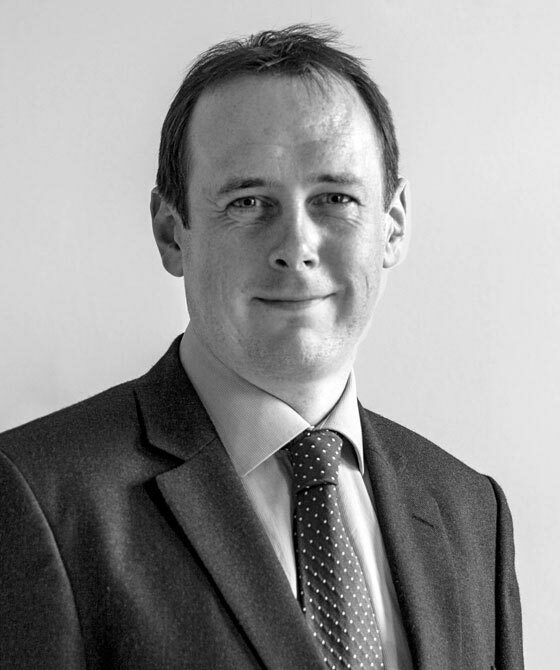 Mathew has also appeared for the Justice Secretary in prison law challenges and in cases involving challenges to refusals of applications for compensation for miscarriages of justice under the statutory scheme in the Criminal Justice Act 1988. R (on the applications of Nealon and Hallam) v Secretary of State for Justice  UKSC 2,  2 WLR 440 - Article 6.2 ECHR not applicable to decisions to refuse award under statutory compensation scheme for miscarriages of justice; scheme would not breach Article 6.2 even if applicable. R (on the applications of Clark and Drury) v Secretary of State for Justice  EWHC 2383 (Admin) - relevance of Crown Prosecution Service’s decision to abandon prosecutions at a re-trial following quashing of convictions by the Court of Appeal. R (on the application of Andukwa) v Secretary of State for Justice  EWHC 3988 (Admin),  ACD 54 - where a conviction was reversed on the ground that there had been an available statutory defence which had been overlooked at trial, there was no ‘new or newly discovered fact’ and so compensation was not payable. R (on the application of Hussain) v Secretary of State for Justice  EWHC 1452 (Admin),  ACD 117 - Category A prisoner not entitled to an oral hearing of his annual categorisation review; request for an oral hearing should have been made before the review was undertaken, not afterwards. R (on the application of Adetoro) v Secretary of State for Justice  EWHC 2576 (Admin),  ACD 16 - lawfulness of decision to revoke earlier decision accepting Parole Board recommendation for move of Category A prisoner to open conditions. In Secretary of State for Work and Pensions v Cattrell  EWCA Civ 572, Mathew acted for the successful respondent in an appeal by the Secretary of State arising from the acceptance by the First-Tier and Upper Tribunals that there was no work that would be reliably safe for her as a result of a severe allergy, so that she was entitled to incapacity benefit. He has also advised on other benefit-related appeals and judicial review proceedings, and has appeared (for the successful appellant) in the Upper Tribunal (Administrative Appeals Chamber) in a rare oral hearing of an appeal. Another area of interest is all aspects of the law relating to elections and political parties, especially electoral procedure and the law on political donations, as well as local government law, particularly the powers and duties of local authorities. Mathew acted for the appellant in Moss v KPMG LLP  EWHC 2923 (Admin), a statutory appeal against the refusal of an auditor to apply for a declaration that an item in a local authority’s accounts covering income received from penalty charge notices levied on motorists was unlawful. Mathew was a member of the pro bono team of barristers who appeared for the claimant in R (Compton) v Wiltshire PCT  EWHC 1824 (Admin), in which the decisions of the Primary Care Trust in respect of facilities at Savernake Hospital in Marlborough were challenged. Cranston J's judgment set out the principles to be applied where it is alleged that the decisions of public authorities are vitiated by apparent bias on the part of their advisers. A further area of Mathew’s public law practice is costs. Prior to the trial in the Savernake Hospital case, Mathew acted for the claimant in the High Court and in the Court of Appeal in R (Compton) v Wiltshire PCT  EWCA Civ 749,  1 WLR 1436, in which he obtained two protective costs orders which were both upheld on appeal. He has also successfully resisted applications for protective costs orders and advised on costs in several judicial review claims, including in one instance on an application for costs totalling more than £500,000. Mathew has been published in Criminal Law Review (twice) on prison-related topics and also has published work relating to electoral law. Prior to joining 3PB he won numerous prizes for his work on public law including the Lee Essay Prize (Gray's Inn) for an essay on the impact of the Human Rights Act. Mathew Gullick’s asset forfeiture work has seen him appear in the Supreme Court and in both divisions of the Court of Appeal, as well as the Crown Court. He also has experience of drafting and appearing in proceedings relating to restraint and enforcement receivership orders and in contempt of court proceedings arising from breaches of restraint orders. In R v Ahmad and R v Fields  UKSC 36,  AC 299, Mathew appeared for the Home Secretary (led by First Treasury Counsel) in what is now the leading case on the approach to be applied in confiscation proceedings when offenders have benefited jointly from their crime, the Court in its judgment reviewing the case law and explaining the effect of the seminal judgment of Lord Bingham in R v May on this point as well as dealing with the approach to be applied in situations of potential “multiple recovery”. In Minshall v (1) HM Revenue and Customs (2) Crown Prosecution Service  EWCA Civ 741,  Lloyd’s Rep FC 515, he appeared for the CPS in the Court of Appeal in a case involving a claim for restitution of the sum paid under a confiscation order arising from a decision of the European Court of Human Rights in 2011 that there had been unreasonable delay (and a breach of Article 6(1) ECHR) in the criminal appeal proceedings, which had finally concluded in February 2006. The Court held that the European Court’s decision provided no basis for such a claim and that the confiscation order was final and conclusive. Mathew has also appeared in the Court of Appeal in R v Lambert & Walding  EWCA Crim 421,  2 Cr App R (S) 90 and R v Sivaraman  EWCA Crim 1736,  1 Cr App R (S) 80, on the principles to be applied to the calculation of an offender’s “benefit” under the Proceeds of Crime Act 2002, and in RCPO v Deprince  EWCA Civ 512, an innocent wife’s claim to a beneficial interest in the marital home which was subject to confiscation which also raised issues under the Human Rights Act. Mathew’s civil practice enables him to bring expertise from other fields, including employment and contract law, into the sphere of asset forfeiture work. In addition, costs-only work is a significant element of Mathew’s general practice which he is keen to develop in the asset forfeiture context. He is particularly interested in the jurisprudence on the definition of “benefit” under the confiscation legislation following the House of Lords’ decision in the trio of cases led by R v May, and has lectured on this topic. Mathew is a member of the Proceeds of Crime Lawyers Association (POCLA). He was appointed to the Attorney-General's A Panel of Junior Counsel to the Crown in civil matters in September 2016. He is a contributor to Millington and Sutherland Williams on the Proceeds of Crime (Fourth Edition, 2013 and Fifth Edition, 2018) (Oxford University Press). Mathew’s civil practice, which covers both commercial and employment law, enables him to bring expertise from these other areas of practice into the sphere of asset forfeiture work. In addition, costs-only work is a significant element of Mathew’s general practice which he is keen to develop in the asset forfeiture context. He is particularly interested in the jurisprudence on the definition of “benefit” under the confiscation legislation following the House of Lords’ decision in the trio of cases led by R v May, and has lectured on this topic.